Cadey is the wife and business partner of a previous show guest, Alex Charfen. Born and raised in Dallas, she was a flight attendant when she met Alex 12 years ago and didn’t even realize she was an entrepreneur until they started dating! Her father was the entrepreneur in the family, but, unfortunately, she didn’t get to see much of that lifestyle as her parents were divorced, and her stepfather was a ‘corporate guy’, staying with the same company for 20+ years. 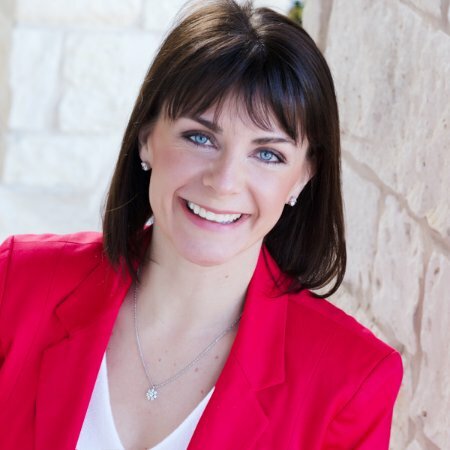 While she didn’t stay with Southwest Airlines after meeting Alex, her time there was a great experience for her to see what a really dynamic company looked like from the inside out and to understand what did and didn’t work. After meeting Alex and discovering her entrepreneurial spirt, real estate was the natural path, as that was the predominant career background of almost her entire family. In her first year of selling real estate, she earned a triple-digit income, especially remarkable when considering the average 1st year agent’s income is approximately $28,000. She was off to a very successful start but she and Alex, like so many others, got hit by the housing recession of 2007-2008. While it was personally devastating at the time, it allowed them to look more carefully at their own financial habits, and just as important, it led them to develop the CDP course and designation. The CDP was an answer to all of the foreclosures that no one, even in the industry, knew how to effectively deal with. They made a HUGE impact with this course, even being told by a representative in the US Treasury that their program alone probably sped up the housing recovery by 5 years! Today, Cadey runs the operations and oversight for CHARFEN, the company she and Alex founded together. They focus on general entrepreneurship and want people to understand that if they can run a transparent business, then they can gain the support and trust that they need to go out and make the impact that they envision. For them, it’s not about creating a big company; it’s about creating a movement. Her husband, Alex. He believed in her wholeheartedly from day one. His support made it safe for her to make mistakes and face her fears. They had to file bankruptcy in 2008 because of the real-estate fallout. It was the hardest thing she’s ever had to do. In retrospect, it was probably one of the best things that could have happened because they had been living beyond their means and it changed their relationship with money. Today, they have more freedom because they live a completely debt-free lifestyle, with their office building lease being their only consumer debt. During their financial struggle, it was difficult as they were both being told by family to just get any job possible, but she and Alex have an entrepreneurial spirit that just didn’t match that idea. The experience of not knowing how they were going to rebound led them to create a foreclosure course that turned not just their life around, but had a significant impact industry-wide. They are successful at working together because they recognize their own strengths and skills and don’t cross into each other’s areas. One of their tenets is that they create momentum in the marriage outside of momentum in the business. The business will always have ‘ups and downs’ so if you focus on the marriage separately, they won’t impact your relationship as much. Work-life balance is nonsense. We’ve been sold a ‘bill of goods’ that tells us one always has to be in conflict with the other. Instead, they believe in work-life synergy and they do their best by integrating both into their lives. Their children are home-schooled and they are creative with their time and activities. Because of the corporate world, a lot of people are ingrained into an 8-5 routine, and that doesn’t have to be true. In working with entrepreneurs, she sees a lot of the same thoughts and feelings over and over among her clients. There is a tremendous amount of guilt and isolation that entrepreneurs have, especially when it comes to their life and the impact that they want to make. Many don’t understand how to integrate both sides and get the support that they need. She and Alex want entrepreneurs to get past the idea that there’s something ‘wrong’ with them. So many have been misdiagnosed and mislabeled-if Thomas Edison lived today, he would have been medicated for OCD! As a society, we are stunting creative growth by some of the structures we’ve put into place and what should be considered ‘normal’. Their mission is for entrepreneurs to recognize that they can reach out and ask for support to lower the noise and pressure in their lives. In one of the classes they teach, The Entrepreneur’s Workshop, an 8-hr. class, she has seen people walk in who have been telling themselves their negative stories and beating themselves up, and leave feeling relieved and willing to go forward. Watching entrepreneurs make that transformation from fearful to confident is a tremendous gift. She also believes that entrepreneurs have a ‘secret weapon’ to success in their own spouses. Many of them don’t know how to tap into that and be open to receiving that support. This is a mission of hers. To that end, she and Alex will be launching a podcast in January, 2016, called “Making Love and Business Work”, that will focus on how entrepreneurs can bridge that gap so they can get that support from their spouses who want to help but maybe doesn’t know how to. Get a mentor. Before you start out, find your ‘first follower’ as soon as possible. You need someone in your corner believing in you. Surround yourself with a team that supports you. No great entrepreneur ever did it all alone. Drop the veneer. It’s exhausting to try and ‘show up’ as someone else all of the time. We all move forward faster when we acknowledge the truths about our personal lives and our business. When we are honest, we help ourselves and we help those around us. “‘Whether you think you can’t, or you think you can, you’re right”. Have you ever really wondered why you do what you do each day?